The class 2 SmartCard reader SPR332 is especially designed for home banking, e-Commerce or the advanced electronic signature . 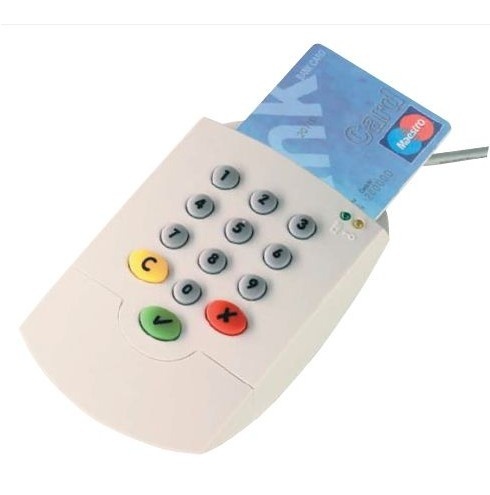 It is specifically designed to protect your PIN code from theft or unauthorized sources while connected to the network. The PIN code is directly entered into the integrated keypad and sent to the SmartCard without being transmitted to a PC.